We have all heard about the tunnel of light that our soul follows upon leaving the physical body, but what is the true meaning of the life review? Why does a life review almost always involve having us continuously looping back into this 3rd dimensional reality and what can we do to stop these cycles of reincarnation? Just about every person who has a near death experience will say that they didn’t want to come back to Earth and that the other side of the veil felt like “home”. So, if everyone feels this content on the other side of the veil, then why do we keep coming back to this hellhole? The tunnel of light is so appealing because it gives us the opportunity to meet with loved ones have predeceased us. The feeling of love is described as being magnified much more than anything we can humanly experience in this 3rd dimensional reality. 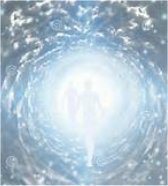 In reality, the tunnel of light is a soul harvester that keeps recycling your soul along with the energy of your physical body upon reincarnation. Part of this process involves a life review, where you see your life in a panoramic, 360 degree view of everything you did in this most recent incarnation. Then, you see your life from the perspective of everyone you met within your previous incarnation. You may see how you hurt someone’s feeling when seeing your life from their perspective or you might see how much happiness you brought someone else after doing a kind deed for them without expecting anything in return. Many times, you will be with a Source-like being who appears to be all-loving and will laugh with you at your life review, yet the same being will send you back into this 3rd dimensional reality after a life-review, despite how happy the person is to be on the other side of the veil. We are all assigned spirit guides but who are they and ultimately, what is their main purpose? Is it possible that they are merely representatives for those who have kept us looped within these perpetual cycles of incarnations? I am not very keen on many of the ‘spirit guides’ who come and get you after you have departed from your body at body death; most of them are Sirian Helpers, such as non-physical Vegans and Grays. Be particularly on your guard if they tell you to follow them ‘into the light’ or ‘to the tunnel’, or go see relatives. If you choose to go with them, you will end up in the Sirian recycling system again with full amnesia, and then being shot down into a new body here on Earth. I once had a dream where I was about to incarnate into this 3rd dimensional reality. I was placed in an elevator-like room, which represented the descending process to earth. I remember being in this place many times beforehand but could not remember what I was supposed to do next. I was on the top floor (the 14th floor which meant the 14th dimension?). My memory was so badly erased that I couldn’t remember how to descend to Earth. This is a test we receive on the other side to see if any memories were remembered and if so, then you would have to go back and have them cleared again. There were other tests to see what I remembered but I can’t recall what they were. These were the last fragmented memories of the other side before I was born. It’s possible that there is an elevator-like area designed to erase all of your memories from previous lives and the other side of the veil. Granted, there are some guides who volunteered to come here to truly guide you out of this cycle of reincarnation and chances are, if you’re reading this right now, your spirit guide is one of them. You may be thinking, “How is it possible for a Gray to show love by being a spirit guide?” Please keep in mind that they are using technologies beyond our comprehension in order to wipe out our previous life’s memories. The Schumann Resonance on Earth has been at 7.83hz for what many people believe to be thousands of years. Recently, the resonance has been rising as high as 8.15 cycles per second. What if the tunnel of light was capable of creating a resonance of 1,000, 10,000 or even 1,000,000 cycles per second? 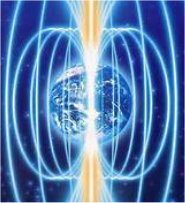 What if the Grays were impervious to the Schumann Resonance or were programmed to appear as spirit guides, upon death of the physical vessel, to convince us to enter the tunnel of light? 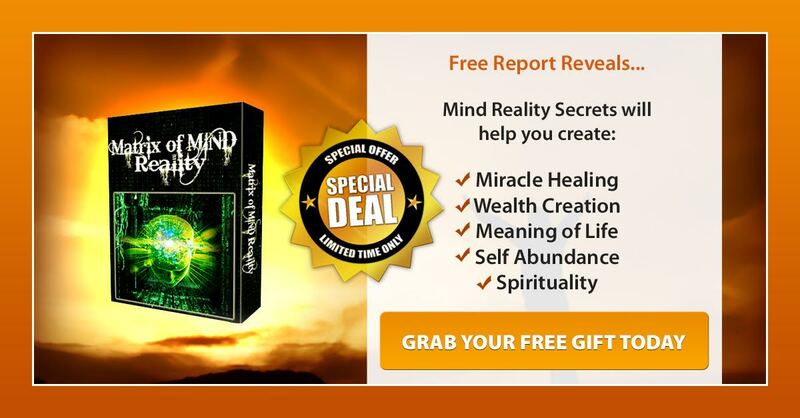 At this point in time, you would feel immense love and would innately trust them, based on an artificial program designed to keep you trapped into the recycling system of reincarnation. Ultimately, it’s not love that one would feel; it’s just another artificial system of control to keep us locked in to this current system of negative energy. 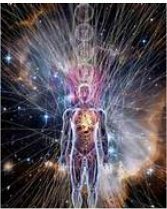 Through past life regressions, we know that all of our past lives are either stored within our cellular DNA and/or within our soul, yet we are unable to immediately retrieve these memories. When under hypnosis, you can remember the most minute details of a past life but once you come out of hypnosis, you have a hard time remembering what you had for dinner yesterday or who the last person was to call you. Does anyone else find this particularly odd? How is it possible to remember, in detail while under hypnosis, our past lives and why do we keep incarnating with the same cast of characters? Just by having this knowledge upon death, you can to opt out of the reincarnation process without being persuaded to come back for having to repay negative karmic debts. Many of those who have predeceased us have already bought into the system but if they have not yet reincarnated or have made a soul contract, then they may also be saved from having to do this, yet again. It’s a truly a brilliant strategy by the archons to use the energy of love against us in order to keep us coming back as economic slaves to a system that feeds off of our energies. Remember, “As above, so below”. Just about everything we have been taught is a lie, including why we need to constantly incarnate into a system of economic subservience. Upon death, we take what we have learned, including our personality. We also vibrate at a certain level, so as you increase your vibration now you will take all of your hard work with you. Remember to connect with your oversoul before entering the tunnel of light or ask your guide to help you to connect to your oversoul. If you wish, you could tell people about the tunnel of light before they enter it. If you enter the tunnel of light, do not allow any council to convince you that you need to repay any karmic debt. Any perceived karmic debt was part of what you decided to experience. This doesn’t mean that you should have no guilt for intentionally harming someone because ultimately, we should love everyone and respect everything. If you do decide to come back to help this planet, do not agree to come back to this 3rd dimensional reality of systemic control through a “soul contract”. Come back on your own terms, which includes the remembrances of all previous lives and everything you have learned throughout your incarnations as well as on the other side of the veil. You could come back into a fifth dimensional version of Earth, but only choose this if you are certain that it is a version that is not under the control of the archonic system. You could also choose to come back as a non physical guide to the old 3rd dimensional system to help others, just as our guides have done. Ultimately, your true peace will be found once you realize that YOU are SOURCE/CREATOR and you have the ability to create worlds and galaxies that are harmoniously filled with love outside of this system of control. I stumbled upon this video today that shows how the truth is sometimes hidden in plain sight on Star Trek Voyager, Coda episode. Please find the time to watch it. As the ghost of her “father” keeps pushing her into making the decision to finally leave this world behind, she suddenly sees a vision of looking up at Chakotay and The Doctor, still on the surface of the planet, as if they are still trying to revive her. A second and third vision makes it obvious her experiences in the “afterlife” are not reality. She realizes that the person lying on the ground on that planet is the real Janeway and that all the things she has been experiencing since her alleged death is a hallucination. The alien being finally reveals his true identity. He states that his species, at the moment of death, comes to help the dying understand what is happening in order to make the crossing-over an occasion of joy. He states that he was being truthful when he said that it was a place of wonder, for it can be whatever she wants it to be. Disguising as her father or generally as someone’s loved ones makes the crossing over a much less fearful occasion. Janeway doubts that the alien’s real reasons for wanting her in his world have anything to do with everlasting joy and demands to know what he really wants from her. The alien grabs her, telling her that she must go with him but Janeway realizes that if he could force her to go, he would have done so already. She finally understands that he needs her to voluntarily agree to go with him; something she refuses to do. 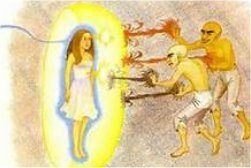 The alien being becomes visibly upset, returning to his own realm but as a last warning states that there will be another time and that he will be waiting, for eventually she would come into his Matrix and nourish him for a long, long time. 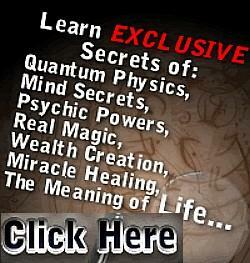 Subscribe for More Escaping Reincarnation Secrets!